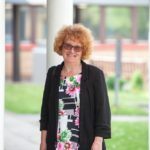 Professor Jane Williams is co-founder of the Observatory on Human Rights of Children, an initiative dedicated to giving practical effect to the human rights of children. Her focus on the real-world impact is reflected in her co-edited volume with Dr Antonella Invernizzi, The Human Rights of Children, From Visions to implementation (Ashgate, 2011). Jane leads a team, Lleisiau Bach Little Voices, which supports and empowers children and researchers and co-producers of change within the values and normative framework of the UNCRC. Among other achievements, this work produced in 2015 the first ever child-led submission to the UN committee on the Rights of the Child by children under 11. In 2016, Jane led the establishment of Wales’ first and only Children’s Legal Center, based at Swansea University. 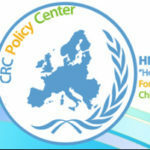 From 2018, Jane is working with Swansea University, Welsh Government and the Office of Hillary Rodham Clinton to establish the Hillary Rodham Clinton Research Programme in Children’s Human Rights, dedicated to supporting academic activism through research collaborations with universities in the USA and scholars across the globe.